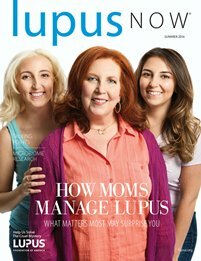 The Lupus Foundation of America’s award-winning magazine, Lupus Now, is published three times a year: Spring (March), Summer (July), and Fall (November). This full-color, 48-page magazine is the only publication of its kind in the country, and offers information on all aspects of lupus, with tips and advice for living your best life. Regular columns include Ask the Experts, Teen Talk, Ask Dr. Paul, Healthy Eating, and Circle of Hope. Each issue carries stories about people facing the challenges of living with lupus, Wellness features, a special section for health care professionals, research updates, clinical trials seeking participants, and Foundation News. Available by subscription or as a benefit of chapter membership. Back issues available from Fall 2003.